The Detailed Child Report helps families of infants and toddlers better understand DRDP (2015) results. This report shows ratings for each of the individual measures of the DRDP (2015). This guidance, used with other DRDP (2015) reports, helps families of infants and toddlers better understand their child’s development by showing ratings of each of the DRDP (2015) developmental domains relative to a sample of same-age peers. View a gallery of adaptations ideas that can be used with children with Individualized Family Service Plans (IFSPs) and Individualized Education Programs (IEPs) in daily activities, routines, and transitions. 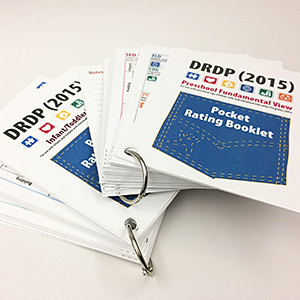 The DRDP (2015) Pocket Rating Booklets can now be ordered and shipped to you! 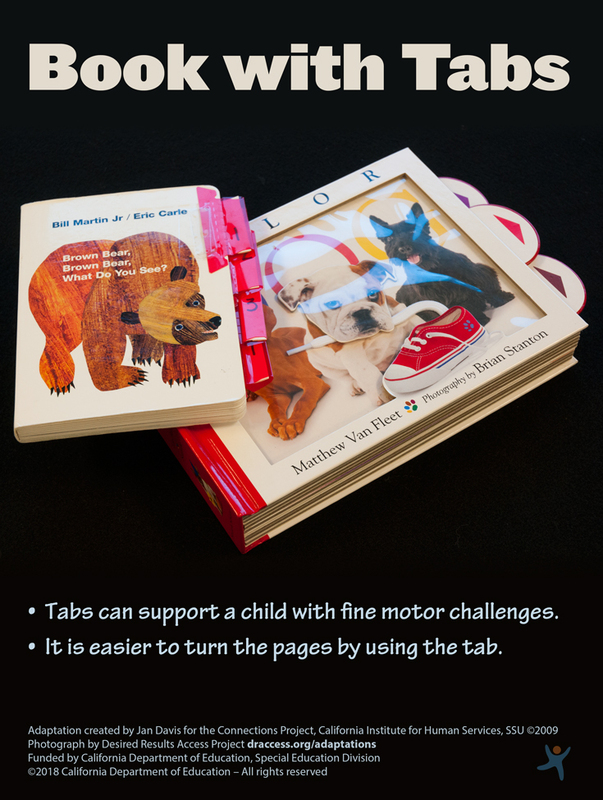 The Preschool Fundamental and Infant/Toddler View Rating Booklets are available as printed cards, assembled, and bound with a ring. They are available as single-sided or laminated double-sided. Use the links below to place your order on our printer's site. All preschool-age children (age 3 through age 5, not enrolled in transitional kindergarten or kindergarten) who have Individualized Education Programs (IEPs). This site provides you with a wealth of essential information and resources – we encourage you to look around and revisit periodically for the latest guidance, professional development, tools, and other resources. We also invite you to join our mailing list to receive our newsletter. Information regarding the Desired Results Developmental Profile for children in programs funded by the California Department of Education's Early Education and Support Division (EESD) can be found at Desired Results for Children and Families.